The Mitsubishi ASX is a compact SUV to rival super-popular cars like the Nissan Qashqai and Seat Ateca. Sadly, it doesn’t have the style, the quality or the dynamic polish of its rivals. 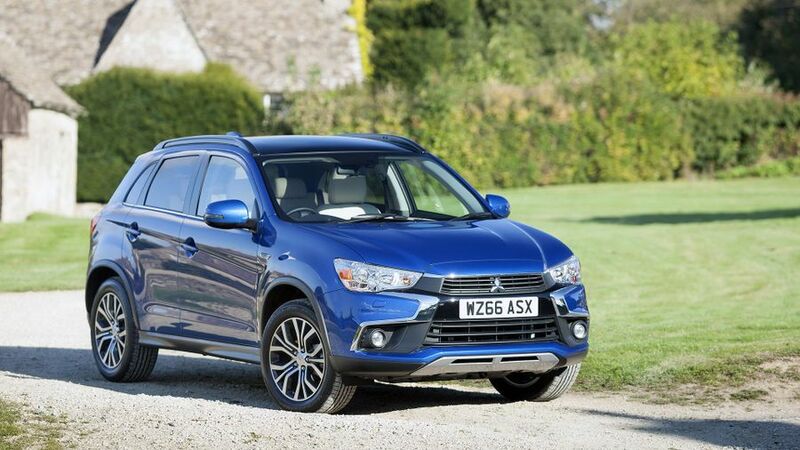 The Mitsubishi ASX is decent family transport, but in a class where the rivals offer style, quality, practicality and dynamic excellence in abundance, that’s just not good enough these days. 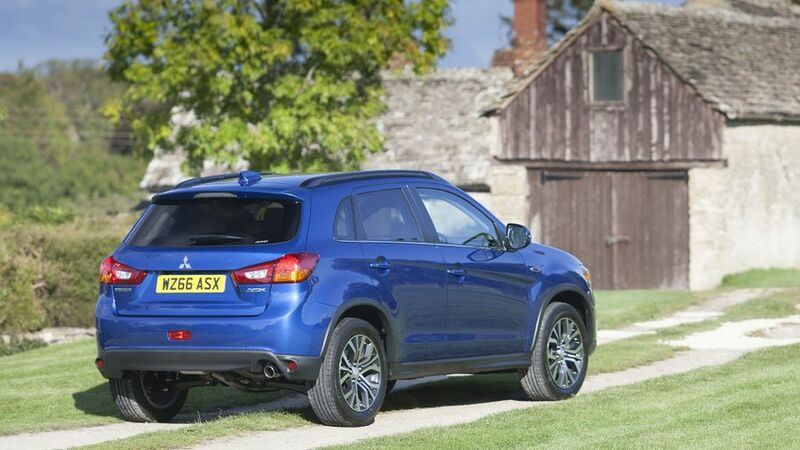 The Mitsubishi isn’t particularly affordable to buy or run, either, which makes it even more difficult to recommend. Decent engine and the right balance of kit and cost. The cleanest one, but still a lot dirtier than some rivals. Costs way more than you’d want to pay for an ASX. The whole reason buyers love SUVs is for their style, but the ASX could be accused of being one of the more low-key offerings in the class. It has the jacked-up ride height and upright stance of an SUV, but the rather subtle bumper treatments – along with the fact the ASX is rather smaller than most of the cars it competes with – gives it the feel of a lofty hatchback, rather than a true-blue SUV. Even entry-level ASX 2 versions come with alloy wheels and front foglamps as standard, while ASX 3 models add black wheel arch trims and xenon headlamps, and the ASX 4 adds black roof rails. Compared with the super-classy cabins provided by some of its rivals, the ASX feels rather below-par. The plastics are hard and shiny in too many places, limiting the feeling of quality, and the interior design is rather dreary and unimaginative. The ergonomics aren’t all that great, either. The touch-screen sat-nav system you get on higher grade models feels very clunky and dated – both to look at and to use – while there are quite a few small, poorly marked buttons tucked away on the lower part of the dashboard and other hard-to-reach places. That said, the driving position has lots of adjustment to help you get comfortable, and it also has the lofty, elevated feel that SUV drivers love. The ASX is a good bit smaller than rivals like the Nissan Qashqai, but despite that, it provides a similar amount of interior space. There’s loads of space up front and generous leg-room in the back, and head-room should be sufficient for all but the tallest of passengers, too. Provided, however, you avoid the panoramic sunroof fitted to high-end models, as this lowers the headlining and eats into the space you get. The boot is also a good size for the class at 419 litres, and split-folding rear seats come as standard for when you want to extend the cargo area. The seats drop easily to leave a flat load area, too, although there is a slight lip to load heavy items over. While many compact SUVs offer a genuinely polished driving experience, this is not an area in which the ASX shines. The suspension thumps and bounces over bumps that should be dealt with far more easily, and there’s a jittery quality to the ride at all speeds. It’s not so bad that you’ll be ringing your chiropractor after every journey, but it is nevertheless true that rival cars keep life a lot more civilised. The handling feels reasonably stable with decent grip and decent suppression of body roll, but steering that feels slow and remote means you won’t be having a great deal of fun when the road turns twisty. Four-wheel drive versions offer enhanced traction on the road as well as off it, but the difference isn’t great enough for the extra you’ll pay to buy and run them. The ASX comes with a choice of three engines: a 1.6 petrol with 115bhp, and 1.6-litre and 2.3-litre (for some reason, Mitsubishi says it’s a 2.2, but it’s not) diesels with 113bhp and 148bhp, respectively. So far, we’ve only had the chance to try the 1.6 diesel. It’s perfectly adequate for hauling the ASX around with a decent amount of purpose, but it does run out of puff a little towards the top of the rev range, so there’s very little point in working it to its limits. Just adopt a lazy driving style and let the ample mid-range pull haul you along gently. That said, it’s not the quietest or the smoothest engine of its type, and plenty of wind- and road-noise makes its way into the cabin at motorway speeds, too. The manual gearshift isn’t as smooth or as cultured as it is on small SUV rivals. The ASX is competitively priced compared with other small SUVs, but ultimately, choosing the Mitsubishi over one of its rivals won’t exactly save you a packet. At least the ASX’s relatively solid – if far from class-leading – resale figure will help protect your investment in the long term. The car’s efficiency figures aren’t as impressive as those of some rivals, though. Only one variant ducks below the 120g/km mark for CO2 emissions, equating to a figure of 61.4mpg, and if you go for a version with a petrol engine, an automatic gearbox or four-wheel drive, you’ll do well to see 50mpg. Mitsubishi have a fairly solid reputation for reliability, even if it’s not as dazzling as those of other Japanese manufacturers. The brand has attained mid-table obscurity in the manufacturer standings of Warranty Direct’s Reliability Index, although the ASX isn’t included in the study of individual models. The owner reviews on our site paint a rather mixed picture of the ASX’s reliability, with a couple of horror stories reported, but these do seem to be the exception rather than the rule. The car is backed by a five-year/62,500-mile warranty, which also includes three-year pan-European roadside, home and accident assistance as standard. The ASX achieved the full five-star rating in Euro NCAP crash tests back in 2011, and the car hasn’t changed a whole lot since then. The tests themselves have, however, and if the latest ASX were to be tested against the latest standards and thresholds, we couldn’t be sure it’d achieve that kind of score. Standard safety equipment includes Active Stability and Traction Control, Hill Start Assist and seven airbags, but you’ll be left wanting if you’re after all the cleverest safety aids. Lane departure warning, blind spot monitoring and autonomous emergency braking aren’t offered, even on the options list. ASX 2 forms the entry-point to the range, and it comes with air-conditioning, Bluetooth phone connectivity, a USB port with iPhone compatibility, a leather-trimmed steering wheel, four electric windows and rear privacy glass. 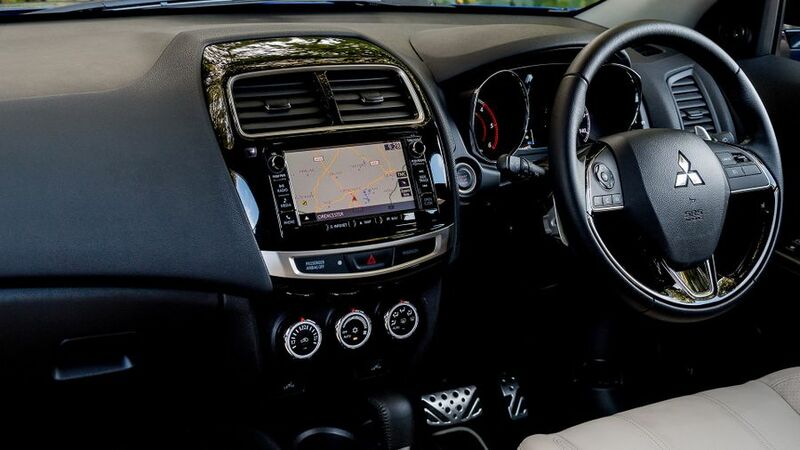 The ASX 3 is the one you want, though, because it adds automatic climate control, keyless entry and operation, cruise control, automatic light and rain sensors, headlamp washers, DAB radio, Bluetooth music streaming, heated front seats and a reversing camera. 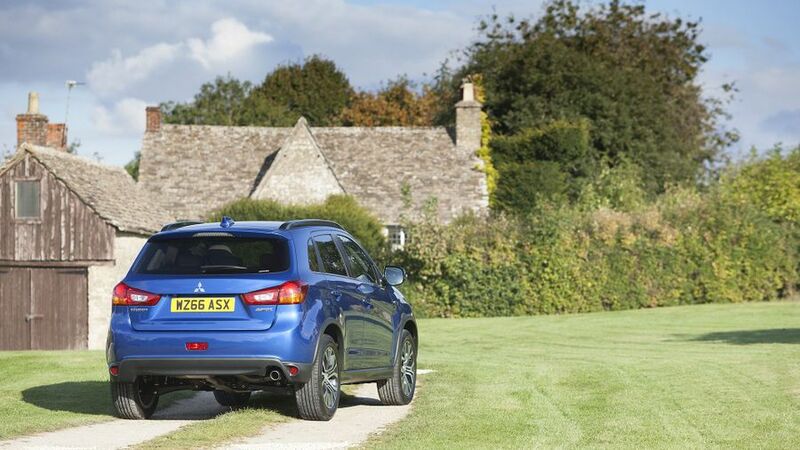 The ASX 4 features four-wheel drive as standard and is available only with the diesel engines. Standard features include leather upholstery, aluminium pedals, a panoramic glass roof and a seven-inch HD touch-screen infotainment system that incorporates satellite-navigation, DAB, CD player and reversing camera. 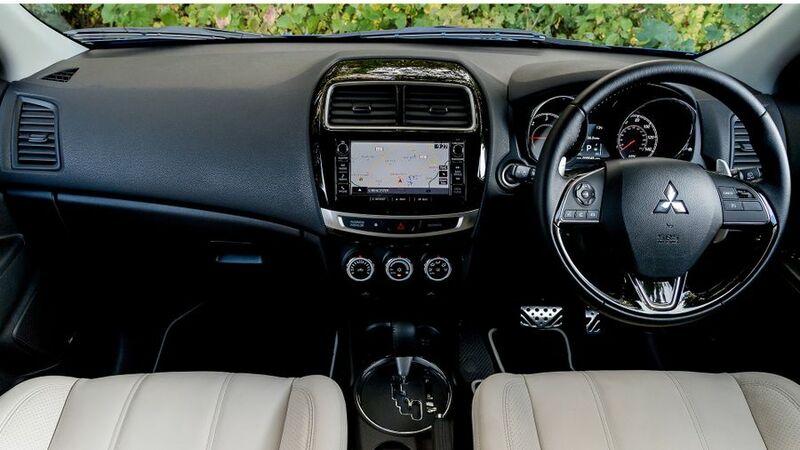 The ASX 5 gets posher leather upholstery, heated rear seats, a power-adjusted driver’s seat, two rear USB charging ports and LED interior lighting. 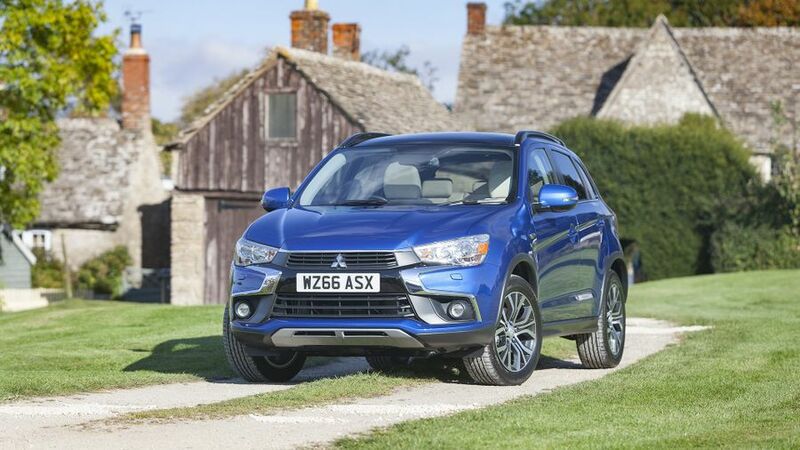 When you consider the vast array of super-talented rivals with which the ASX has to compete, we really can’t think of many reasons to choose the Mitsubishi. It’s not a bad car overall, but it doesn’t really impress in any particular area, and puts in a pretty poor show in a few of them as well. If you’re after a family SUV, we’d look elsewhere.